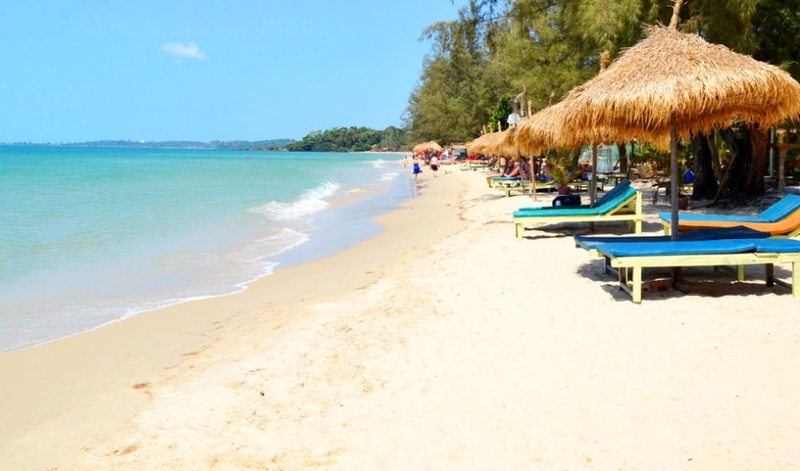 Ochheuteal Beach, known as UNTAC Beach in the early 1990s and it is now the most popular in Sihanoukville, offering the full spectrum of beach venues from upscale hotels and dining to laid-back budget beach bars and bungalows. 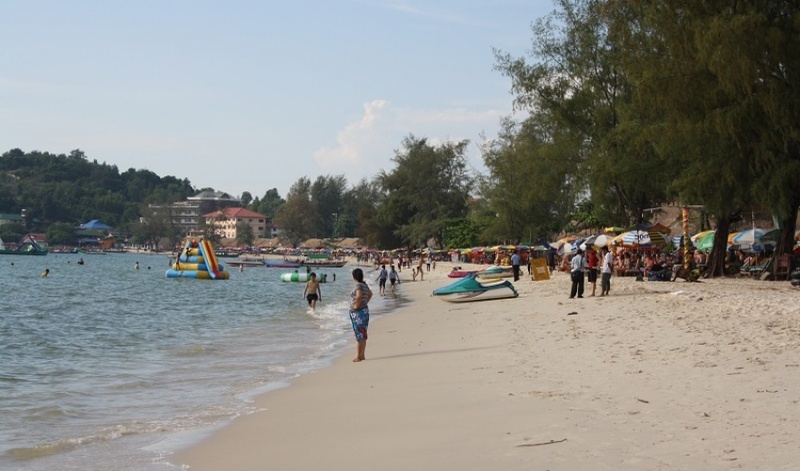 Ochheuteal Beach is the most active beach in Sihanoukville and very popular with travelers and weekenders alike. 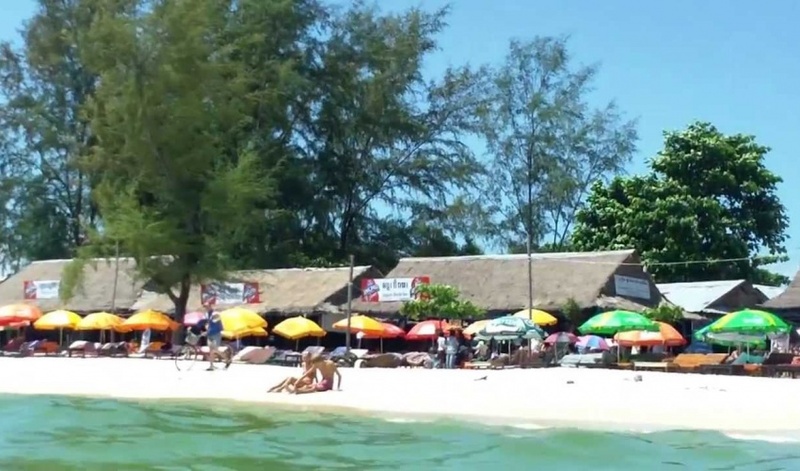 Thatch-roofed seafood shacks and beach bars line the sand from one end of Ochheuteal to the other. 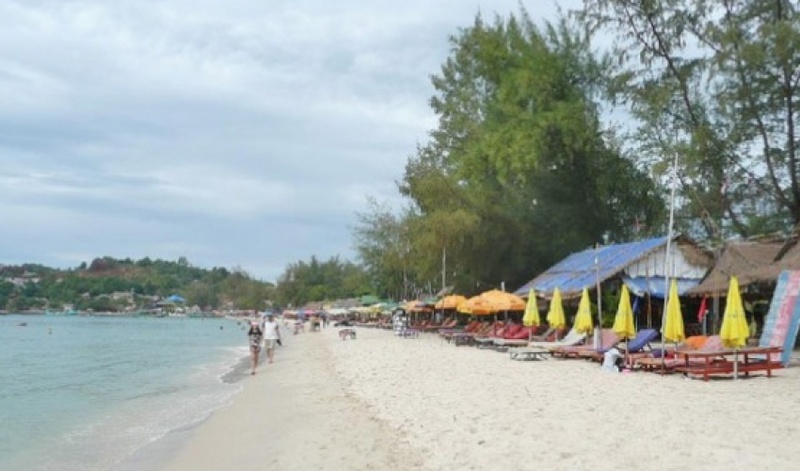 Next to it is “Serendipity beach” which is especially popular with budget travelers. 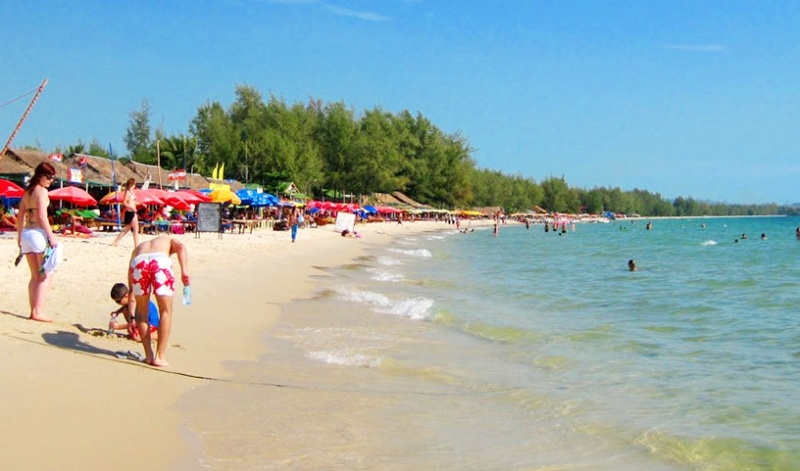 Ochheuteal is long, sandy and narrow, with 'Serendipity Beach' at the northern end, a golf-course development at the southern end, and a cluster of mid-range hotels and restaurants near the MP base in the middle. 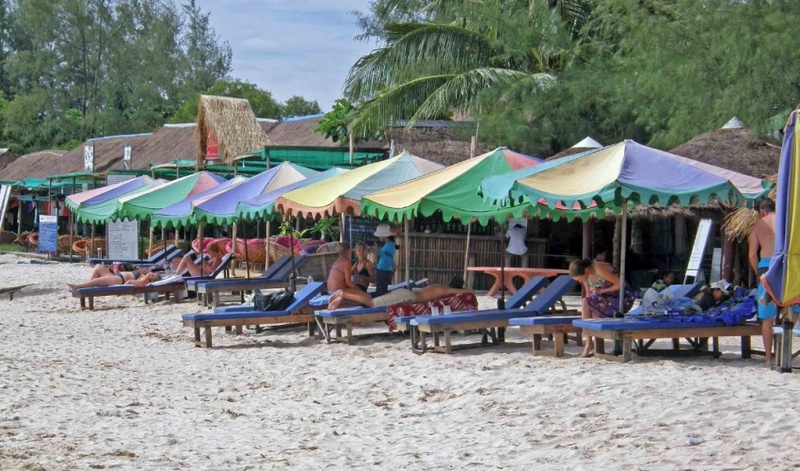 Grass umbrellas, rentable beach chairs and little drink huts line the beach from one end to the other. 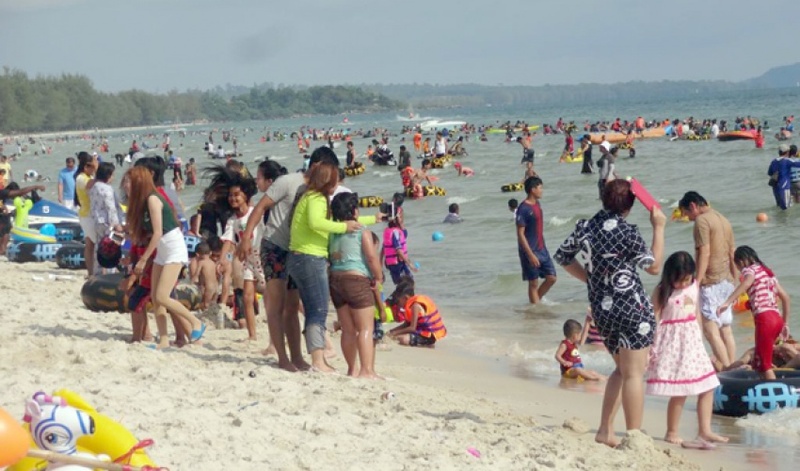 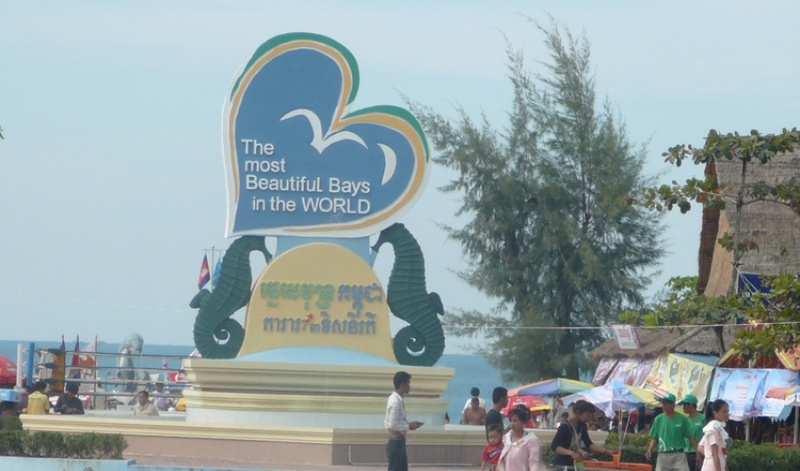 It offers several nice hotels including the Seaside and Crystal, the mid-range Holiday, as well as some of Sihanoukville's better seafood restaurants, within walking distance of the hotels. 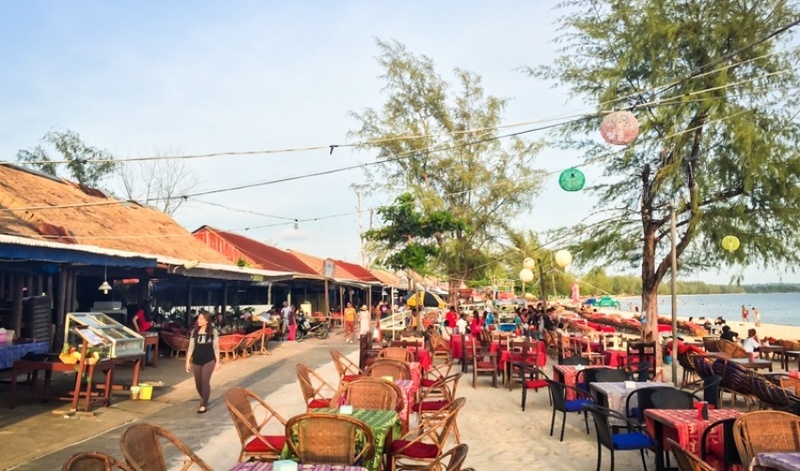 Further south along the beach in front of the golf course development, a number of budget traveler/backpacker oriented bar/restaurant/beach hangouts have sprung up offering chairs, umbrellas, drinks and a chill-out atmosphere. 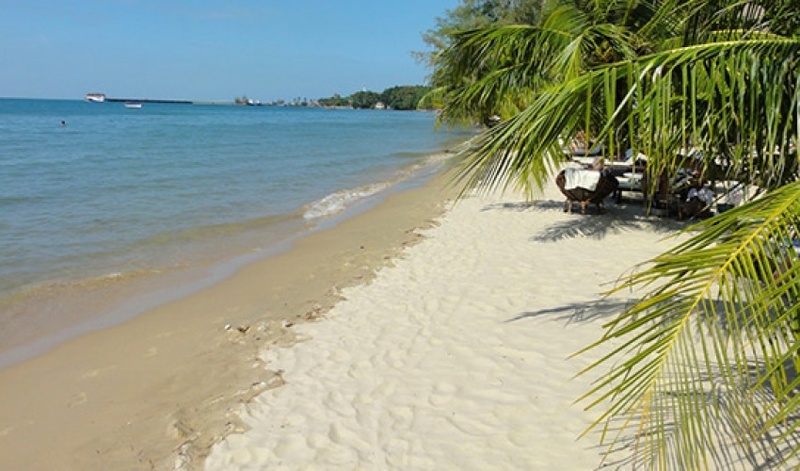 At Ochheuteal's extreme northern end, Serendipity Beach is the only beach in Sihanouk-ville to offer bungalows and guesthouse rooms right on the sand. 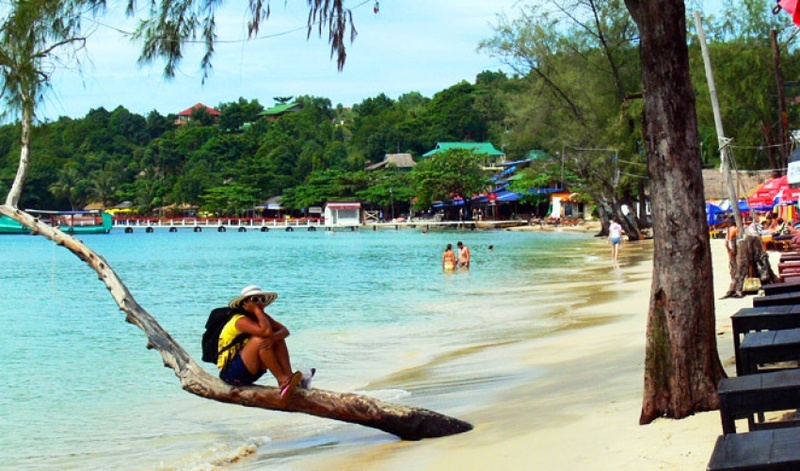 Over the past two years Serendipity's popularity has grown exponentially, as have the number of bungalows, hotels, and restaurants. 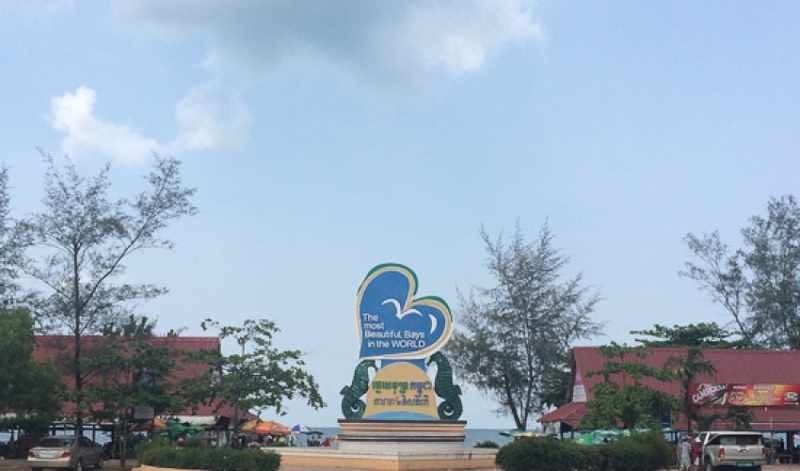 The beach now offers several mid-range and budget places including Coasters' well-known bungalows.